Though the United States spends more on healthcare than any other developed country, outcomes for maternal and neonatal services are worse. Rates for premature births and cesarean rates are steadily increasing over recent years, as is the price for such services. We are strong advocates for birthing with a midwife and doula in a birth center to promote better birthing outcomes. 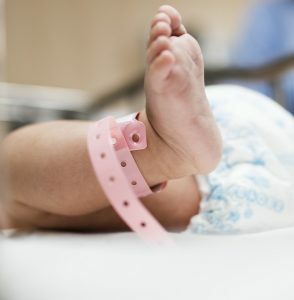 In fact, a new report from the Center for Medicare and Medicaid Innovation (CMMI) now recommends freestanding birth centers as part of the solution to reduce poor birthing outcomes. The earlier you decide where to deliver your baby, the more likely you are to find a provider you trust. Here are the main differences between hospital births and birth centers, so that you can pick the best one for your little one’s arrival. Birth Center: Birth centers are curated to give a home-like experience. Rooms at our center feature large beds — perfect for two partners — and a large, freestanding tub for effective pain relief. Also, in the suite is an assortment of birthing tools to facilitate an easier labor and more comfortable birthing position. Hospital: Laboring at a hospital is undoubtedly more clinical. Your room will typically contain a small bed that moves in a few, different laboring positions. Most commonly, you’ll lay on your back with your legs extended into stirrups. Most hospitals have a limit to the number of guests in the room. Occasionally, the room will have a shower or bath. Birth Center: Because of the minor use of medication, you are typically free to eat or drink as you please. Hospital: Eating or drinking during a hospital labor is typically a no-no. Instead, you’ll receive fluids from an I.V. For long labors, some hospitals will allow clear liquids like broth or popsicles. Birth Center: With your baby’s and your safety in mind, birth centers will go above and beyond to give you your desired birthing experience. Most centers will have birthing tools — birthing balls, yoga slings, birthing tubs, etc. — and they will go over your options prior to labor. Hospital: Hospitals typically have one goal during your labor: the safety of you and your baby. This is a great philosophy! However, that means you may not have as much control over your birthing plan and your desired experience. If you wanted a water birth, more movement during labor, or the ability to snack, you might want to reconsider the labor & delivery department. What’s more, you don’t have as much control over who is present during the birth of your baby. Nurses, doctors, anesthesiologists can all come and go during your stay. Some women feel this setting is less intimate and empowering. Birth Center: Birth Centers tend to be more affordable than hospitals. Even better, our birthing center accepts many different insurance plans, and we can assist you in determining your out-of-pocket expenses for your entire pregnancy. Hospital: Hospitals can bill most insurances, considering they are in your network, but that doesn’t mean they are less expensive. With added fees for hospital resources such as IV lines, pain medication, belly monitors, electricity, etc., hospitals tend to be more expensive than birth centers. Though you may have selected the perfect birth center to deliver your baby, not all pregnancies are a good fit. If you develop complications, or your labor becomes risky, you may need to be transferred to the hospital. This setting is more suited for high-risk pregnancies. To learn more about our unique, birth center, contact us today. We provide free tours each day and we are delighted to go over birth center benefits with you to help you determine your best birthing outcome.